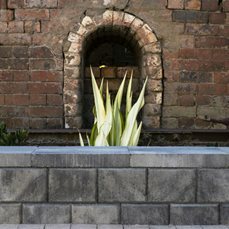 Midland Brick DIY Gardenwall systems are segmental - meaning the wall is made up of individual pieces or blocks. 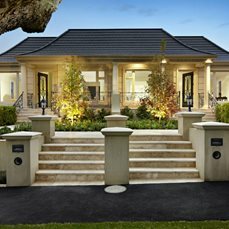 In residential landscaping the blocks weight, width and interlocking lip provides stability. 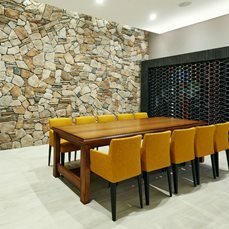 So why choose segmental retaining walls from Midland Brick for your home or building project over other walling products? Installation cost - In many cases the soil on-site can be used when building with concrete blocks - eliminating the need for in-fill materials and extensive formwork. 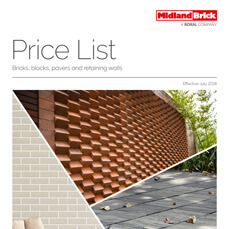 Remember to consider the installed costs of any retaining wall solution you look at. No post holes - Gardenwall retaining walls don't require extensive digging to create a space for large footings like poured concrete or mortared bricks/blocks. No need for post holes either as required for sleeper walls. No mortar required (great news for DIYers!) - Gardenwall retaining wall blocks simply stack on top of one another without mortar. Following guidelines - Gardenwall can be installed without the need to hire specialist tradesmen. Gardenwall retaining walls can be designed and constructed, from base layer to capping blocks by the homeowner or DIY handy person. Save time - No mortar can speed up the process and means you can build the wall progressively if you are time constrained. Ease of use - The small and individual block size often enables construction of walls in difficult to access locations. 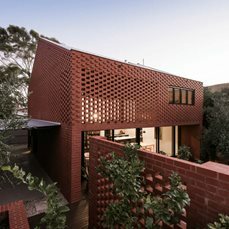 Flexible wall designs - Individual blocks enables design flexibility in the shape and length of the wall. Few limitations - With Gardenwall retaining walls, install them level, on a slope or stepped. Build them straight, curved and even circular depending on the look you are going for. Water features - Gardenwall can be built around water such as water features or near the pool. Environmentally-friendly - The blocks can be relocated, modified, extended, shortened and at the end of their life crushed and re-purposed. 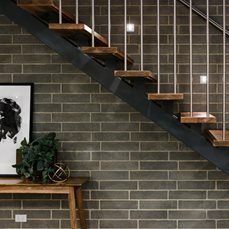 Durable - Midland Brick Gardenwall blocks can tolerate movement and settlement without causing cracking of the block units, unlike poured concrete or mortared masonry walls. Hardy - Gardenwall blocks do not rot or decay like some other wooden post type walls and are not vulnerable to white ants and borers. Ease of replacement - Individual blocks can be replaced if one gets damaged. No need to knock the whole wall down. Height - Gardenwall is suitable for wall heights up to 800mm. Choice - Choose from 5 different colours in our Gardenwall range. 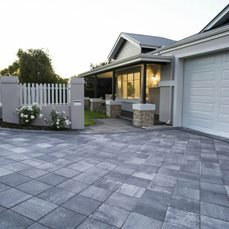 To view our Gardenwall range click below or call 13 15 40 to find out more information.